Thinking of becoming a partner with MCS but have questions relating to franchising? Below is a collection of regularly asked questions which may address some of your queries. Click each question to reveal its answer. What are the payment terms: amount, time of payment, lump sum or instalment, financing arrangements, etc.? The initial £3995 + VAT is due upon signing the agreement. The remaining £6000 + VAT would be due when you have reached a turnover of £50,000 or after 12 month which ever comes first and can be paid either as a lump sum or agreed to be paid over 6 months. Does it include an "opening" inventory of products and supplies? You will receive some uniform, 250 business cards, access to our bespoke system and some contracts. Is any part or the entire initial fee refundable? The initial fee is for the license agreement, training, mobile computer/android and support, thus the fee is non refundable. How are advertising and promotion costs divided? National advertising and promotional cost are included in the 10% management fee’s. Local advertising would be done by yourself i.e. leaflet drops and yell.com. Is the territory an exclusive one, and is it permanent or subject to reduction or modification under certain conditions? The territory is exclusive and has been set to allow a good growth. Any modifications would be discussed from both sides should the need arise. Does the franchisee have a contractual right to the franchisor's latest products or innovations? If so, at what cost? Any new products or innovation limited to MCS would be shared, and the cost would depend on what the products or innovations are. Must equipment or supplies be purchased from the franchisor or approved supplier, or is the franchisee free to make his own purchases? We have a preferred supplier and have gone through 4 or 5 other suppliers before choosing this one, and the main reasons being quality of products and cost. If you have a supplier you want to refer to us that is not a problem but we would like to have some samples of their products first. Also our preferred supplier is linked into our system and you are able to order stock through our system and it will be attached to the site you have ordered for allowing you to control the amount of stock used per site. Must the franchisee participate personally in conducting the business? If so, to what extent and under what specific conditions? As a franchisee you are responsible for running your business to the best of your ability that said if you have a manager or someone to run or help with the running of your business then that is ok as long as they are a capable and driven individual to help the business grow. If local advertising is left to the franchisee, does the franchisor exercise any control over such campaigns or share any costs? We would advise you how and where to advertise and would expect some sort of local advertising i.e. leaflet drops and yell.com, but this is your business and as I am sure you are aware the more you put in the more you can gain. Local advertising is solely down to your cost. Does the franchisor provide various promotional materials point-of-purchase, mail programs, etc. and at what cost? We would provide promotional materials at printing costs, but we do not at present use email program although at present this is being discussed and looked into. Are operating hours and days set forth in the franchise contract? Office hours are generally 9 am – 5:30 pm Monday to Friday although you would need to keep your phone on all the time as most work is carried out before and after normal office hours. The time would depend on the contracts you have ie if you have a pub or restaurants you may need to be available weekends as well as they tend to be 7 day cleaning. Under what conditions (illness, etc.) can the franchisee terminate the franchise? The franchisee cannot terminate the contract unless of death or incapacity, please see response to question 16. Is the franchisee restricted from engaging in a similar business after termination? If so, for how many years? Can the franchisee sell the franchised business and assign the franchise agreement to the buyer? Yes, but we would have to be part of the sales process and approve the buyer. How long has MCS been franchising? We started franchising our business January 2014, but MCS has been successfully operating for 13 years now. Is the franchise assignable to heirs, or may it be sold by the franchisee's estate on death or disability? 16.1.1 Your Personal Representatives and any surviving Partner must together decide within a period of three (3) months from the date of Your death whether they wish the Business to be carried on by a relative or beneficiary of Yours or any surviving franchisee. We are recommending £5,000 working capital over the first six months. 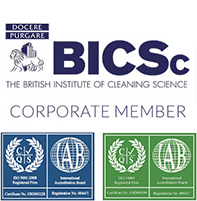 This is a management based franchise which at times will require you to be hands-on if you cannot cover cleaner absence. However, back-office work including invoicing and wages etc will be undertaken by Head Office. As a franchisee you are responsible for running your business to the best of your ability. Yes, we would recommend you start the business from home to keep the running costs low and as you grow larger to consider moving to an office space. How many staff do I need to employ? Staff recruitment will be determined on the amount of clients secured and the hours needed to be covered, eg. one client may require one cleaner working 6 hrs per week or you may have a client with 15 staff working 300 hours per week. You have the option to sign for another 5 year, sell the franchise to someone else or sell it back to MCS. Is the turnover in the pdf viable? Yes, the profit and turnover is viable but is dependent on whether you employ additional staff, securing new clients and practical involvement by you. If I am not happy with the contract can I terminate it and on what grounds? The franchisee cannot terminate the contract unless on death or incapacity. Is this a part time or full time? You can start as part time and move to fulltime, but the pace at which you seek to build your business will determine the hours you invest; the more you put in the more you gain and build the business quicker. Can I have your franchisee addresses or speak with them? Please note that we do not give out personal or business information, this is against the Data Protection Act and our professional standing. Nevertheless, once you have signed our NDA and had an initial meeting with the Directors you will be able to speak to the franchisees.